Today I was invited to work with pre-service education students at Lakehead University where I learned more about how our FSL teachers are learning to do great work with students in the future. We explored ways in which they can think deeply about their practice, and how they can continue to self-direct their learning. Here are our resources from the day. Using synchronous technology to connect language learners to language experts. This morning I put out a general call to my PLN to help me find supports for new FSL teacher in Ontario. Here are some of the responses. 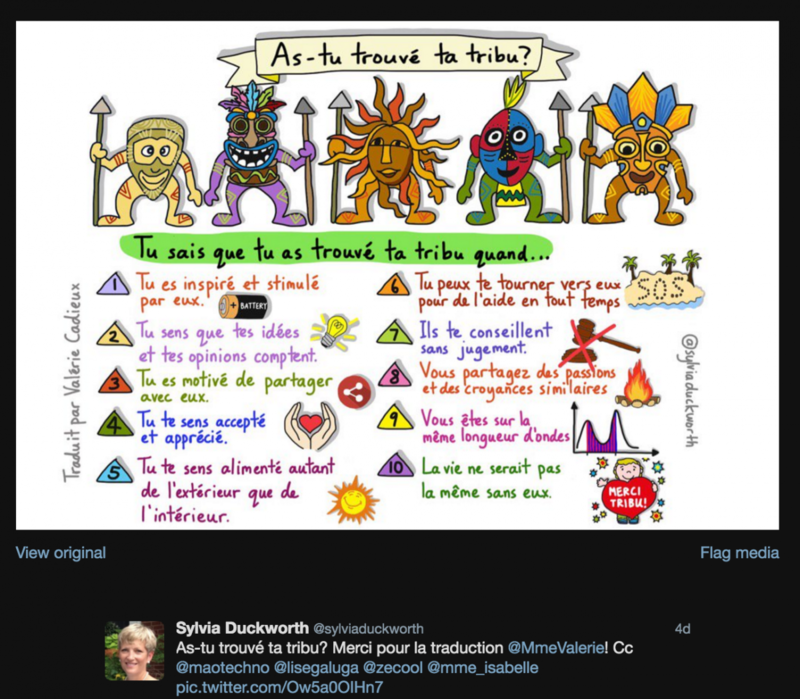 #FSLChat on Twitter Sunday 9 p.m. to 10 p.m.
It’s a language class. Shouldn’t the kids be doing the talking?